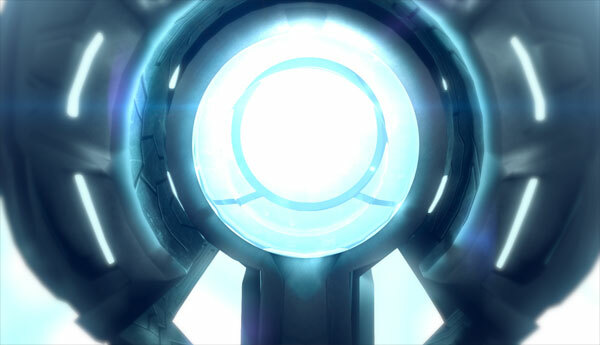 One of the new features of the Anniversary edition of Halo is the addition of Terminals that shed some information about the ring the Master Chief found himself on - and also some clues into what Halo 4 may hold! Early in the stage, moving towards the bridge, you’ll talk to Keyes. When you have control again, look on the bridge for a red computer console, that’s your terminal. Entering the underground tunnel, instead of jumping over the gap, search for a side tunnel that leads directly to the terminal. Reaching the bridge and defeating the Elite there, search the raised central platform. In the center of the island, you’ll face off against two Hunters. Find the terminal on the outerwall of the central structure in this area. Near the end of the level, you’ll reach the pyramid-shaping Control Room structure. At the center of the pyramid is a large piece of the structure leading directly into a crevasse in the ground. Down in the crevasse, you’ll find secret ammo and a terminal. Reaching the elevator leading to the facility exit, turn around and look above the door. The terminal is above the elevator room door. To get up there, you’ll need to jump off the elevator as it moves up. On the third floor of the Library, you’ll eventually reach a large circular room where the Index platform is just above you. Go right from the entrance, jump over the barrier, and you’ll enter another room where the terminal is just ahead, in plain view. In the control room, in the beginning, look around the circular chamber and you’ll find the terminal across from the control console. After finding Keyes, absorbed by the Flood, defend yourself against the incoming enemies. In this room, search the two sunken crevices to your sides, you’ll find the terminal down in one of the two crevices. Check out here for where the Skull locations in Anniversary are hidden! Here's an add - do you brew beer? Ever thought about using Cryo Hops with your brew?